There was a time in the early 2000's when I stopped listening to new music. 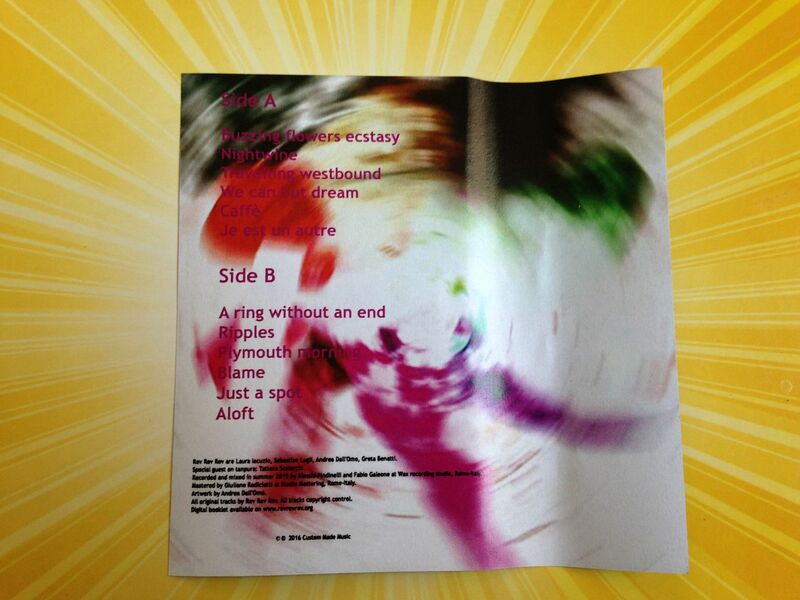 When I found out about shoegaze I began not only listening to new artists again but also writing about them. 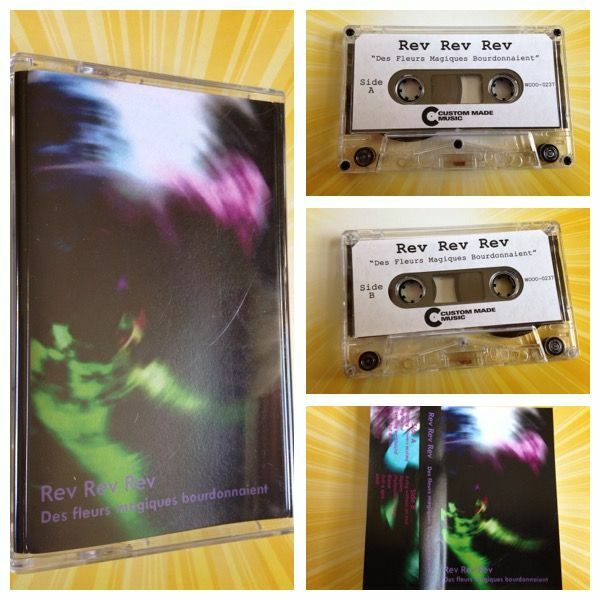 I always enjoy when artists that got me listening to new music again make new music and as of right now, Rev Rev Rev is the third one in their class to do so this year, following the new releases by Bloody Knives and Ask For Joy. 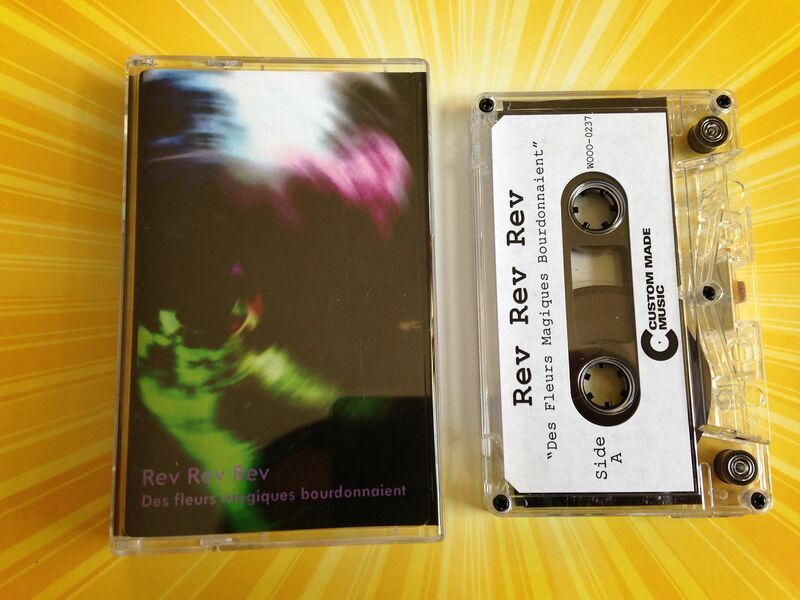 This is actually my first time hearing Rev Rev Rev on cassette though, which is a way I hope to hear all of those shoegaze bands that got me back into music some day. 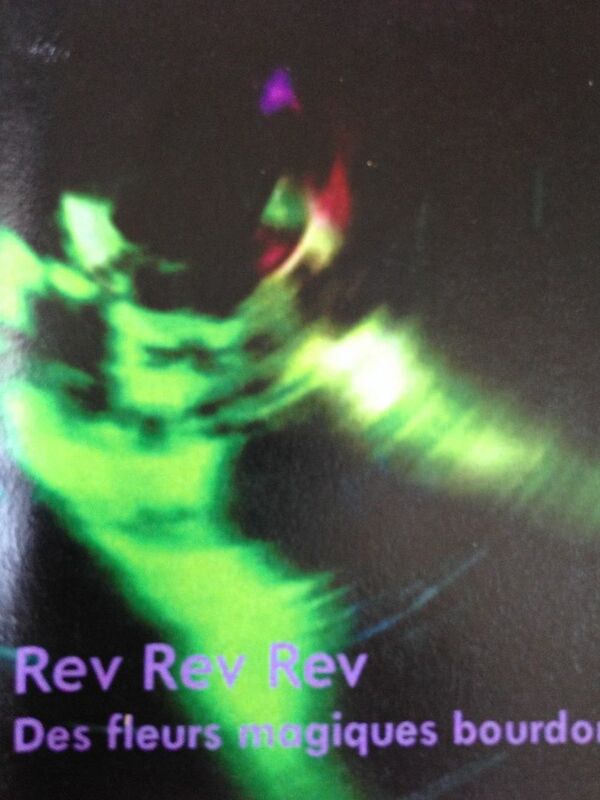 Rev Rev Rev creates songs which are both loud and fuzzy. They have a sense of pop to them, but mostly because I feel like if I saw Rev Rev Rev play live they might have a bubble machine on and I'd watch all the bubbles float around and pop. Through heavy psychedelics comes what could be described as a darker version of Rush and really only knows comparison with Boom Said Thunder, which is a band I haven't heard from in a while. I guess the best way to think of Rev Rev Rev is to consider what they are not. If they had deeper, more monotone vocals they could be something more along the lines of Black Sabbath. If the music wasn't so fuzzy and dark at times, they could be up there with someone like Blondie. There are probably a number of college radio-type bands they could be on par with if they didn't have vocals, though they do still remain music heavy. But I like knowing most of all that Rev Rev Rev is the way that they are simply because there is no one else like them. If I could pinpoint them to one exact band or combination of bands then it wouldn't feel so special. But this sort of upbeat, sort of dark rock music just makes me happy in knowing that when I hear it all I can think of is Rev Rev Rev. Creating your own sound can either be the hardest or easiest thing in the world to do. Rev Rev Rev makes it feel like both.